It's almost difficult to imagine that two years ago, LibreOffice was a newcomer to the world of office productivity software, having only just been forked from the longstanding OpenOffice.org suite that so many people had come to know and love. Just a year later, all signs were already suggesting that the Document Foundation's increasingly popular open source software suite faced a bright future. Now, fast forward to today, and two-year-old LibreOffice is the office software that's included in most Linux distributions, having essentially replaced its OpenOffice parent as the leading free and open Microsoft Office alternative. A vibrant community of developers and volunteers now keeps LibreOffice on the cutting edge, and on Friday the project officially announced its second birthday. “In just 24 months, we have achieved what many people thought was impossible when the project was launched,” said Thorsten Behrens, SUSE developer and deputy chairman of the Document Foundation board. “We have managed to aggregate a large number of people around the idea that an independent foundation was the only reasonable choice to provide a sustainable future to the legacy OOo code,” Behrens explained. Over the past year, the Document Foundation was legally established in Berlin, a Board of Directors and Membership Committee were elected, and Intel became a supporter of the project. 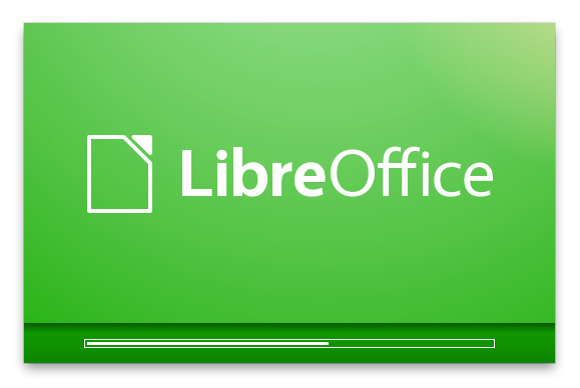 Not only that, but work on cloud and tablet versions of LibreOffice was begun. In fact, with 325 active committers over the last 12 months, LibreOffice is now the third largest free software project focused on the development of a desktop application, behind only Firefox and Chrome, said Behrens, citing open source directory Ohloh. A total of 540 contributors--including former OpenOffice.org developers--have made more than 40,000 commits to the software, which has been downloaded more than 18 million times since the release of the first stable version in January 2011, the Document Foundation notes. Downloads to date actually top 20 million when you add external sites offering the same package, the group adds, not to mention the millions of users who install LibreOffice from CDs burned from the .ISO images available online or bundled with magazines in many parts of the world. Some 90 percent of LibreOffice installations today are on Windows, with another 10 percent on MacOS, the group says. Linux users, meanwhile, get the software from their distribution repository and now reportedly number about 30 million. On Monday, the Document Foundation will kick off a fundraising campaign to support the next wave of the project's growth. If you've become as dependent on LibreOffice as I have, this could be a worthwhile cause.